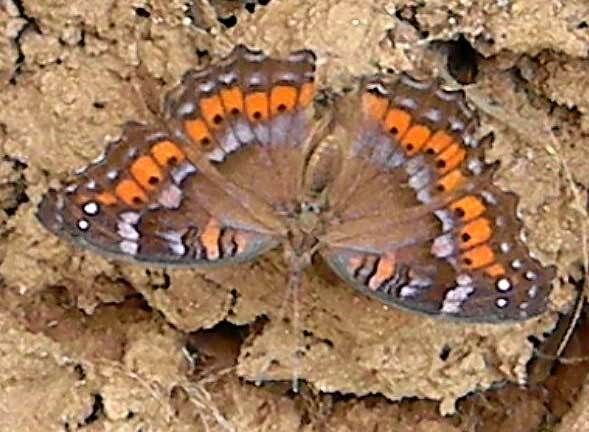 This butterfly was observed perched on a mud brick wall in a garden area of Turbo, Kenya on 03 April 2011. It is perched facing down - the head is at bottom-center. 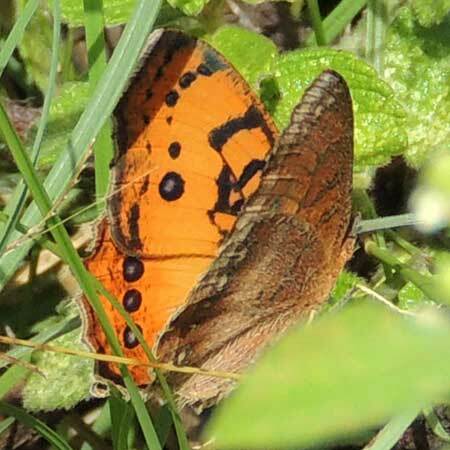 This easily recognized butterfly can be found across much of Africa. They are prone to bask in the sunshine perching upon the soil or rocks. Shown below is a much different seasonal form, nearly all reddish-orange. Near Turbo, Kenya on 28 Dec. 2015.